Get ready for your close-up, Mr. Ailes. Get ready for your close-up, Mr. Ailes. The production company Blumhouse Television, which produced The Jinx and The Normal Heart has teamed up with New York’s own Gabriel Sherman and Jennifer Stahl to adapt a narrative of Roger Ailes’s rise and fall from Fox for television. Tom McCarthy, the director of the Oscar-winning film Spotlight, will serve as the executive producer, with Sherman and Stahl co-executive producing and serving as writers on the project. 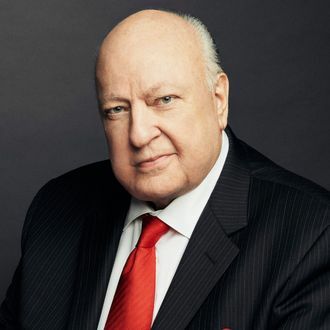 The material for the mini-series will draw from Sherman’s book, The Loudest Voice in the Room, which chronicled how Ailes built Fox News, as well as from Sherman’s articles for New York, where he broke the news of how more than two dozen women at Fox — including one Megyn Kelly — accused Ailes of sexual assault and sexual harassment, eventually resulting in his ouster. Sherman made the announcement at the Vanity Fair New Establishment summit, adding that no casting decisions have yet been made. He does, however, have some preferences, suggesting John Goodman or Anthony Hopkins for the part of Ailes. Two good choices! It’s just a shame that Marlon Brando is dead.